Standing at the helm of his modest wood-trimmed motorboat, Ian MacDonald navigates the route to his Georgian Bay, Ont., cottage through narrow channels and past barren rocky islands with the offhand calm of intimate familiarity. The ride takes 45 minutes, but even as we pitch and rock in the swells of an open, choppy stretch of water, he never breaks with an easy tour guide’s banter, describing each landmark and highlight. 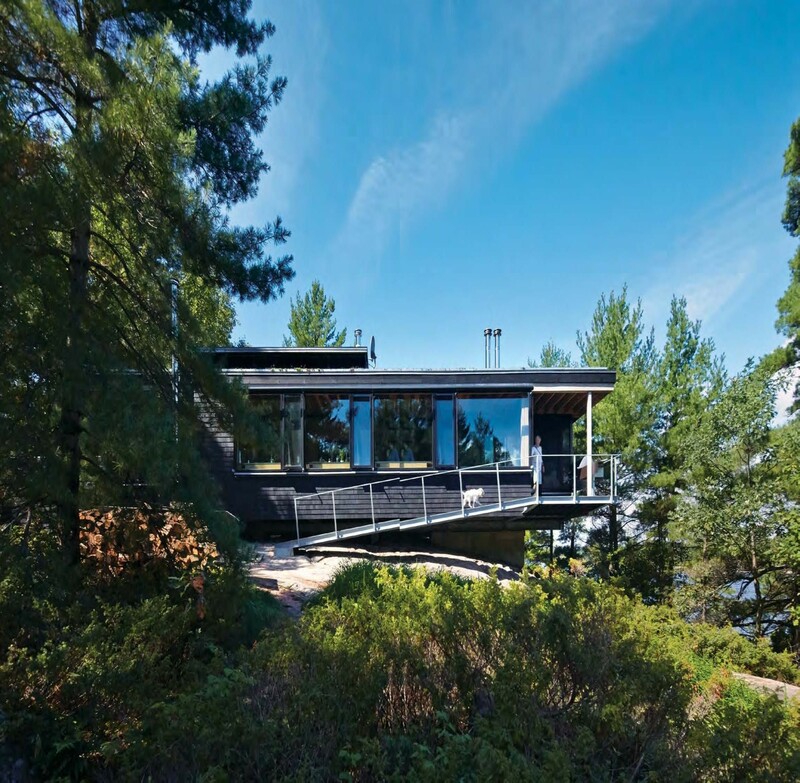 He steers the boat into a narrow inlet called Go Home Bay, where the 64-yearold Toronto architect has been a regular visitor since he was in his early twenties. He soon turns again, into the small bay at the back of the channel where his own cottage sits on a tall outcrop of Canadian Shield. What strikes you first about the cottage is how it doesn’t strike you at all, how hard it is to even find in the landscape. The surroundings are quintessential Shield country, simple, stark, and breathtaking, all low, rounded rock and wind-bent pines. It looks like a Group of Seven scene, and for good reason— this location was a frequent subject of their work. Several members spent time painting landscapes while staying at one of the area’s first cottages, a simple dwelling, now more than one hundred years old, on an island nearby, and several murals from that cottage are now in the National Gallery. Have hammer, will cottage? The Fall issue of Cottage Life will help you get a jump on finishing up your summer projects, closing up for the season, or starting on next year’s building plans. Get inspired by (and get the secrets to designing) the new classic cottage: a sleek, green, modern cottage with the heart of a cabin in the woods. Find plans for the ultimate DIY kids’ bunkie, jam-packed with features like a zipline, a climbing wall, and monkey bars. Outsmart the mice with our expert animal-proofing advice. Become a firewood pro with tips and a guide to splitting, stacking, and storing your wood, and sharpening your chainsaw. Make a simple firewood storage tower in a weekend. Read up about your best options for waste water, including septics, grey-water systems, holding tanks, and composting toilets. Plus, when it comes time to pack up your kitchen, don’t haul home a summer’s worth of leftover hamburger buns and broken cookies. We’ve got recipes to help you turn them into a feast to end the season. 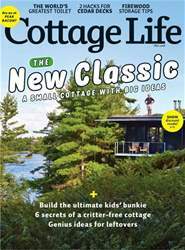 The issue also includes your discount for the Fall Cottage Life Show. Pick up the Fall 2018 issue today for the best of autumn at the cottage! Welcome to the FUNHOUSE !